As reported on Chico and Delamar's Podcast, Chris Brown begs for support to his fans. According to the statement from Brown, radio stations across the US doesn't play his songs. He is asking his fans to request for his songs to help him with his comeback. After the assault incident with Rihanna, Chris Brown's career suffered. His album sales slumped even debuting only at #7 at the Billboard's Album Charts. 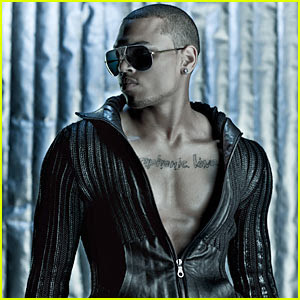 Singles from Graffiti, his 2009 album only peaked #20 for "I Can Transform Ya", #53 for "Crawl" and #84 for "Sing Like Me". On the other news about Chris Brown. He is celebrating his 21st birthday on May 5. According to reports, the Pop singer is having a hard time looking for a venue for his birthday. Venue owners are hesitant to say yes to Chris Brown since they don't want to break their relationship with Rihanna, Chris Brown's ex-girlfriend. I think they should give Chris Brown a chance. I just pity him that he needs to beg for support. He just needs to release good songs and the rest will just follow.